You deserve to have honesty, safety, trust, respect, and reliability in your relationship. Mutuality is everything. If it is not there, and you feel alone, put down, and emotionally exhausted, you deserve better. Strong people get help..
​As a relationship consultant, educator, and speaker, I offer relationship help to my clients to support them with stressful and high conflict partnerships. I specialize in working with the partners, exes, adult children, and co-workers of relentlessly difficult, toxic people. I call them "Hijackals®." High conflict--Hijackal--partnerships are ones where you feel like you're "always wrong". It could be with your spouse, your parent, your ex, co-worker or friend. The experience for you is that you are "never right"; no matter what you do, or how hard you try, it's never "right." In many high conflict relationships, you frequently experience emotional extremes: high times and very low times, love and hate, breaking up and working it out. It's a rollercoaster ride, for sure. Ultimately you spend a lot of time and emotional energy trying to "fix" your relationship but are left feeling lost about what to do. Relationships like this are exhausting. This is partially true because people often don't realize they are in a high conflict relationship. Arguing, feeling ignored and feeling like you're never good enough become "normal". Even though a big part of your heart and brain knows this can't possibly be true. I'm want you to listen to that voice. The part of you that tells you that "this isn't normal" is on to something and this is where I can help you. When you love someone who pushes you away, yet demands that you stay it is not only confusing, it's a betrayal and no one can live with that push and pull for long, without giving in or giving up. Does it mean your relationship has to end? Not necessarily. But, it does mean that you need some support to figure out how bad things are going to get and what, if any, hope is there to recover the love that you once shared. If this is the situation you're in, I can absolutely help you. The quiet voice in your head/heart that speaks to you tells you that things need to get better; that you don't have to be quite so miserable in your relationship; that you're worth more and that healthy love isn't so hard... LISTEN to that. And reach out. I'm here. As a relationship consultant, I offer urgent and ongoing care for couples and individuals across the globe. I have been working with people struggling with life, death, and relationship for over thirty years in the United States and Canada . My mission is stopping emotional and verbal abuse, and to bring hope, comfort, strength, insights, and strategies to people who may have given up believing a healthier relationship and happier life was possible. Passive-Aggressive Checklist - Is it passive-aggressive behavior that is causing you to question your sanity? Personal Integrity Checklist - Are you actually living what you say you value? As a relationship consultant, speaker and author, Rhoberta Shaler, The Relationship Help Doctor, provides urgent and ongoing care for relationships in crisis, for individuals, couples, companies, and even the United States Marines. For more than thirty years, she has helped the partners, exes, adult children, and co-workers of the relentlessly difficult, toxic people she calls “Hijackals®” to stop the crazy-making and save their sanity. An expert in conflict management, negotiation, and mediation, Dr. Shaler offers audiences the insights and strategies to recognize, realize, and recover from the pain, friction, and drama of troubling relationships. Dr. Shaler brings hope! Along with the information and support, she brings the new perspective audiences need to reclaim confidence, assertiveness, and sanity when dealing with the constant uncertainty and jaw-dropping behaviors of Hijackals in life, at home and at work. To reach her huge mission of helping people worldwide to stop tolerating abuse, Rhoberta hosts her weekly syndicated show on BBS Radio, The Relationship Help Show. Along with her guest experts, she offers the help, hope, and how-to’s of recognizing, realizing, and recovering from what listeners often haven’t even allowed themselves to think of as abusive relationships. They respond by telling her how she has changed—and even saved—their lives! Author of sixteen books, including Kaizen for Couples: Smart Steps to Save, Sustain, and Strengthen Your Relationships, Escaping the Hijackal Trap: The Definitive Guide to Dealing with Relentlessly Difficult People, and Stop! That’s Crazy-Making! How to Quit Playing the Passive-Aggressive Game, Dr. Shaler inspires hope, sows peace, and changes lives. 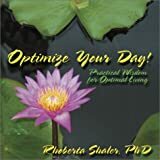 Kaizen for Couples: Smart Steps to Save, Sustain & Strengthen Your Relationship: Help for getting through rough patches and fixing systemic communication and trust issues.